Jory Stifani won the Best Wedding Film category in the FilmConvert Short Film Competition 2018. We loved the beautiful imagery and the sense of atmosphere conveyed in the film and the judges from Maru Films highlighted the cinematography as the winning factor for them. In 2006 I run a professional filmmaking and editing course for one year and then I started to work in local and national Tv stations as a cameraman and video editor. 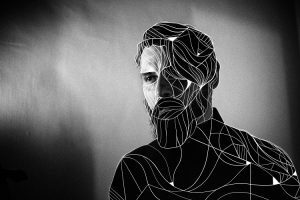 Now I am a freelance filmmaker; I founded a visual agency called DORYFERA VISUALS with my lifemate (Illustrator and graphic designer Betti Greco). A great Italian photographer called me for creating a documentary about his daughter’s wedding. It was an incredible day, locations and decorations – and above all the bride and the groom – were magnificent, so my work was just to film what was happening. In the editing session, I tried to convey all the emotions of the day through the eyes of their daughter, the most important thing for them. To years ago I run a workshop about filmmaking taken by “Evergreen Film”, two talented Italian filmmakers. They use FilmConvert to grade their films and I fell in love with it since the first “date”. While shooting wedding videos you do not have much time to manage lights, exposure and to organize the scene in general. You have to keep control on what is happening rather than on the composition or on the photography. This can affect the final result leading to a loss of time for color correction and grading in post-production. 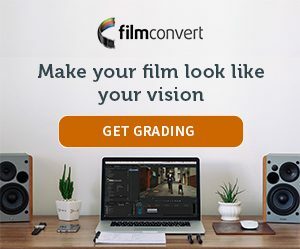 With FilmConvert you can make a miracle, by just one click you have done the 90% of your film look grade! You can match many different cameras together in a few seconds. Absolutely stunning!!! I love the documentary language in every kind of video so I try to make a nice composition and let things happen in front of the camera. This was absolutely great because in a few seconds I have matched three completely different cameras. Love it!!! In this video I used a super slow-motion technique, slowing down the clips from 5% to 12% with optical flow in Edius 8. I used some lens flare, tilt/shift effects and vignetting masks.